Free Word Puzzle justifies its title to 100%. It is a free brain-teaser for all word puzzle fans! If you enjoy solving crosswords and other types of word puzzles, this brain-teaser is made for you! Complete words by swapping white letters through 35 free levels which become more and more challenging. 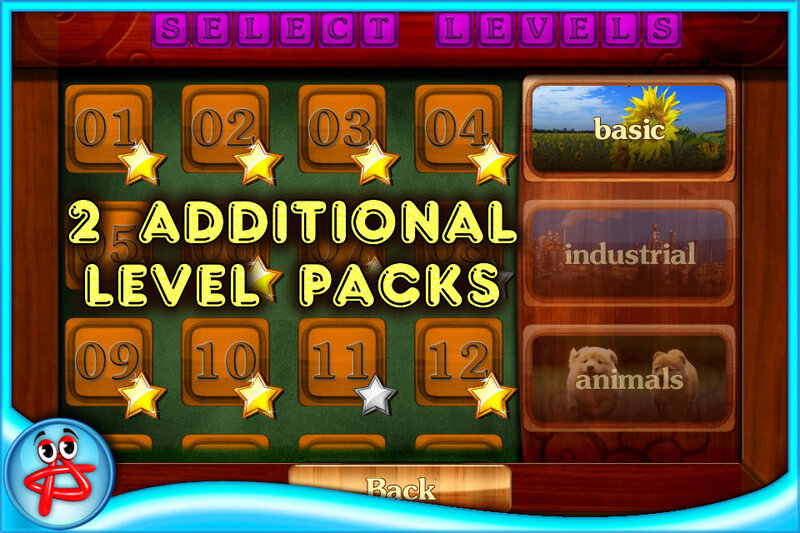 Unlock additional level packs to enlarge your vocabulary of animal world and industrial innovations. You are not limited in time to cope with a level but it's always pleasant to receive a gold star award for you efforts, isn't it? 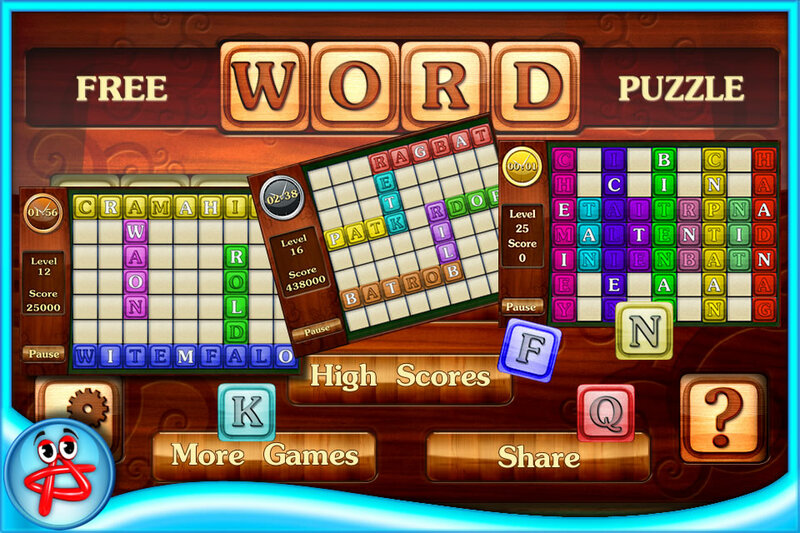 Free Word Puzzle is a good educational game for kids because of family-friendly gameplay and simple mechanics that helps to improve spelling skills and speed up memorizing of new words. Learn everyday English in a fun way with this addicting word puzzle and get high score for combos. You are free to replay any of the previous levels to improve the result and receive time bonus. Words are chosen randomly, so, each time you will be offered a new puzzle. Complete it with gold or silver star, submit your score to the global leader board and prove a word genius! Dear Free Word Puzzle fans! Thank you very much for your reviews! Your feedback helps us to make our games better! We fixed crash on iOS 4 and other issues.